Bright funnel like blooms characterise these bright and long lasting plants. 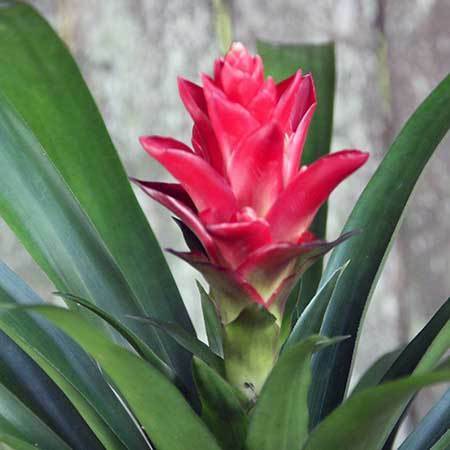 Bromeliad plant come in hundreds of varieties but generally all enjoy a warm indoor position with filtered sunlight. Each potted plant is presented by our florists in a rustic stone-look pot that would look great in any office, home or apartment. Colours of plants may vary from picture, depending on availability on day of order. Please note: The pictured plant and pot is exclusive to Sydney only. For plant delivery outside Sydney, our team will coordinate your order via an affiliate florist network to recreate this style and presentation as closely as possible. 2015-12-30 I was disappointed that the antirrhinums (red and pink) that you had advertised on your web catalogue, were not in fact available. 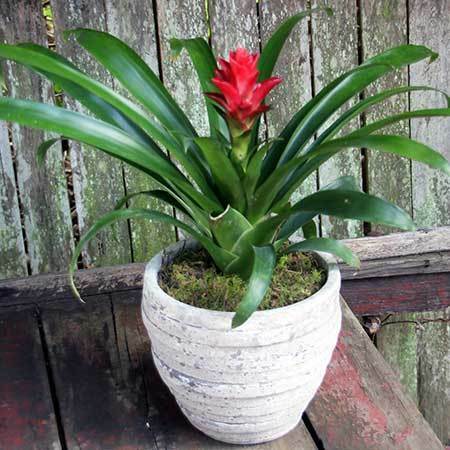 However the recipients of my gifts were delighted ( my mother and sister who live interstate) with their bromeliads in stone pots. 2015-07-31 Service rating : your site was very helpful & easy to use..will come back again .Very happy. Product : Very very nice.